Here are some frequently asked questions, or FAQs, about using coconut oil to fade and reduce stretch marks. How does coconut oil help remove stretch marks? Coconut oil penetrates the skin deeply and rebuilds the connective tissues, such as collagen, that hold skin together. Its antioxidants help fade the redness that can make stretch marks more noticeable. Can coconut oil prevent stretch marks altogether? 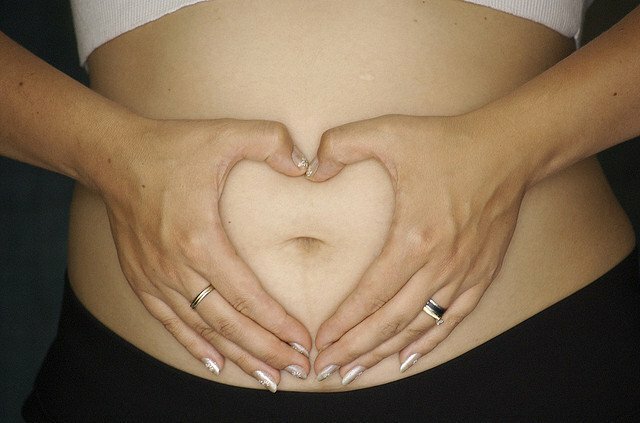 With regular use, many women have reported great success in preventing stretch marks during pregnancy. Because this natural oil strengthens skin and makes it more elastic, skin is less likely to tear and cause stretch marks to happen in the first place. How should I use coconut oil to prevent stretch marks? Apply the oil to skin 2 to 3 times a day beginning early in pregnancy. In addition to the stomach area, you may also want to apply coconut oil to thighs, upper arms and breasts, since these areas are also prone to stretch marks. How should I use coconut oil if I already have stretch marks? For those with existing stretch marks, applying warm coconut oil each night before bed will give the best results in fading and healing stretch marks. This method should show improvement in skin after 2-3 months of regular use. Massage the oil in well and let it absorb into your skin. If you need to wash it off in the morning, use water and a mild soap. Biconi now offers virgin coconut oil that can minimize existing stretch marks and prevent new ones from forming. Are there any negative side effects to using coconut oil on skin? Coconut oil is a completely natural product that is safe to use on skin. It contains antioxidants and vitamins, and its saturated fats are beneficial for skin. It is a great moisturizer that also has healing properties for skin. Is coconut oil safe for babies and for use during pregnancy? Coconut oil is safe for babies. In fact, some of the recommended uses for coconut oil are as a diaper rash treatment and for nursing mothers to use on their breasts. This natural oil is so safe that it can be readily ingested, making it ideal for use around babies. A new product by Biconi, Baby Massage Oil, contains virgin coconut oil to nourish and protect baby's skin naturally without any harsh chemicals. What are some other benefits of using coconut oil to prevent stretch marks? Coconut oil is a great moisturizer, so it is great for keeping skin soft. It keeps skin young looking and can treat various skin problems that sometimes occur during pregnancy, such as psoriasis, dermatitis and eczema. Coconut oil is affordable compared to other creams that claim to treat stretch marks, and it contains no harmful chemicals that could be absorbed into skin. It is a great choice for anyone looking to prevent or treat stretch marks to look and feel their best. Now Remove Stretch Marks With Coconut Oil!